I am in Delhi. And we are working around the clock. Things are hard and amazing at the same time. Mostly because all of it is real, NOW, and so poignant. Every woman I meet though AIDMAM from activists to volunteers to survivors have a story. And in this calm before the storm as we make plans and sketch the arc of the campaign we sit in quiet moments and share. Share because the stories are all around us. The stories in fact are what made us. And the stories are what drive us. We talk to ease the anxiety and to know each other better before it all changes. Our personal struggles fuel the decision to be part of this larger movement. For the fractures in our families are what freed us to see new possibilities and a new India. And make no mistake, all around me is this tenuous place where for a moment I can feel the home India should have been to all of us and yet has never been. But we make it real bit by bit in each others company as we dream the world we want through this crazy, amazing, beautiful campaign. or in English Dalit Women’s Self-Determination Yatra. Yatra being the term for pilgrammage or holy journey. The term yatra is significant for Dalits whom have been called polluted, for while it is not a holy journey in hindu terms, we reclaim the term for our journey as one one where the demand for justice has become our sacred task. The states participating in this round include Uttar Pradesh, Bihar, Haryana, Orissa, and Delhi. During this time states will be holding fasts, protests, and caravans picking up victims families as they go. My team has been helping with their communication strategy because they have been overwhelmed and so we will be shooting as well helping to train a team of the AIDMAM staff in social networking, shooting, and communication strategy for a campaign of this size. There is no question that we are going into some of the most violent areas for Dalit Women in India, but we believe the safety is in the numbers and the visibility of the campaign. 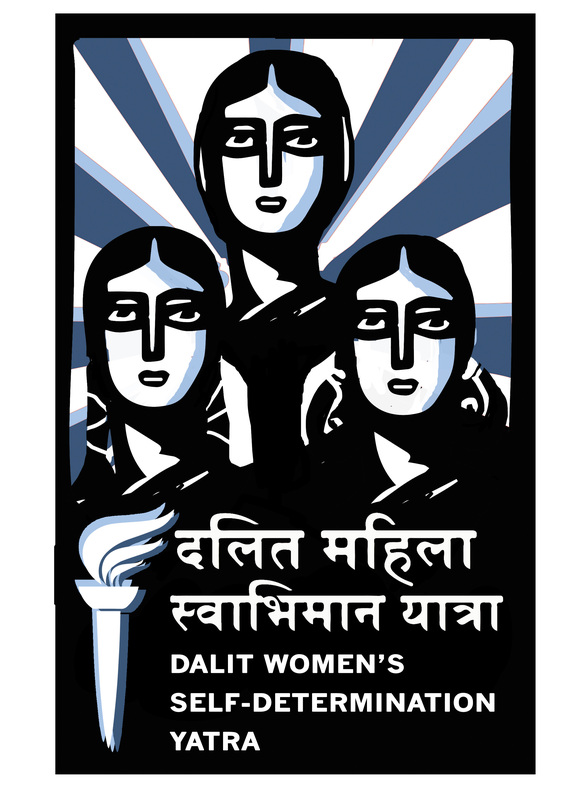 We intend to post liberally throughout the campaign with the hashtag #dalitwomenfight. With at least one photo anecdote a day. Its exciting. Its scary. And it is filled with so much potential. I have no idea of how it will end.But I know this we have already won!